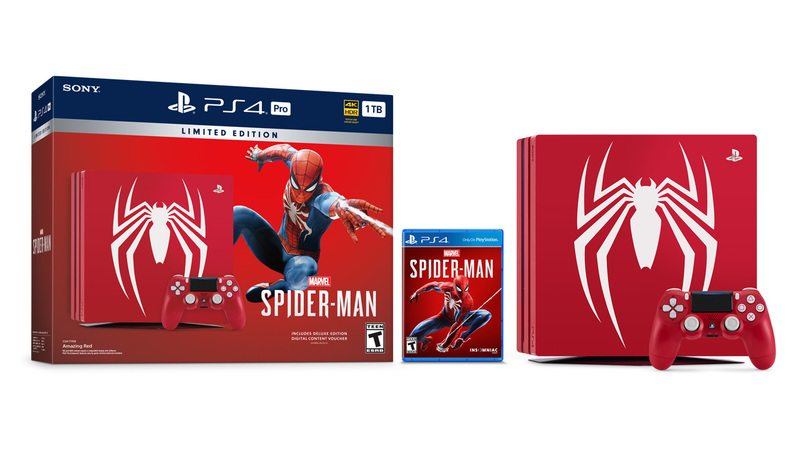 The bundle comes with a custom Amazing Red 1TB PS4 Pro console with the Spider-Man logo on the front along with a matching Amazing Red DualShock 4 wireless controller and a physical copy of the game and bonus digital content. You’ll be able to play Marvel’s Spider-Man in 4K resolution to show off even more details of the game and characters on your 4K TV. If you have an HDTV, you’ll still benefit from built-in supersampling with increased image clarity and detail. The console is available for pre-order now in Canada for $499 CAD and the US for $399 USD. It will be available from Amazon, Best Buy and GameStop in the US. As of right now, the console is available for pre-order from Best Buy in Canada. The console will release on September 7th, 2018, the same day as Marvel’s Spider-Man. Sony also released a new trailer for the game showing off the story.